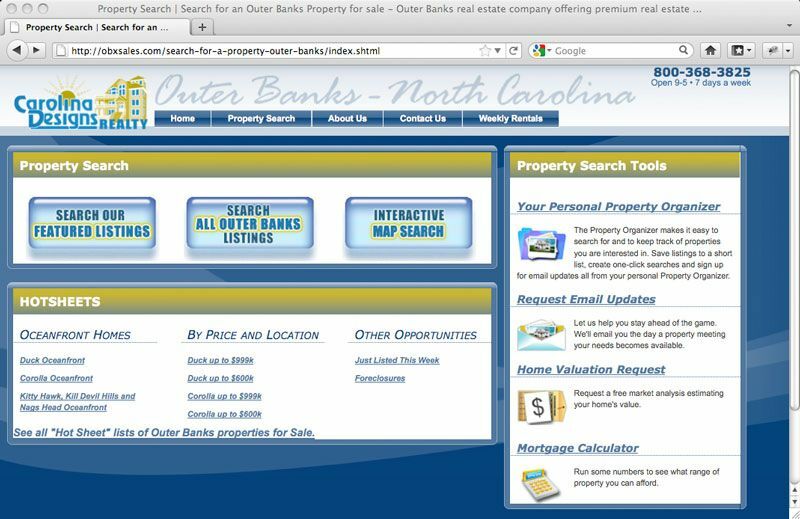 Search options include searching all MLS listings, searching just Carolina Designs listings, and other advanced options. 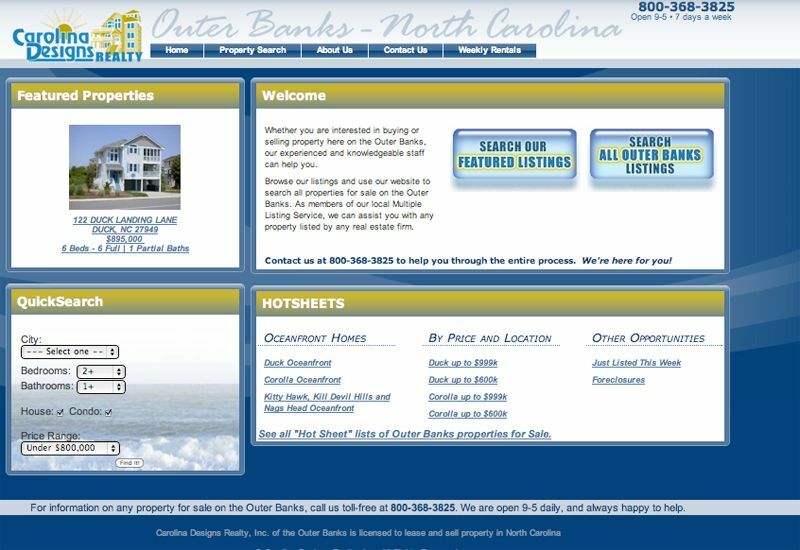 Individual agents have their own mini-websites to showcase their listings alongside their bio, photo and contact information. 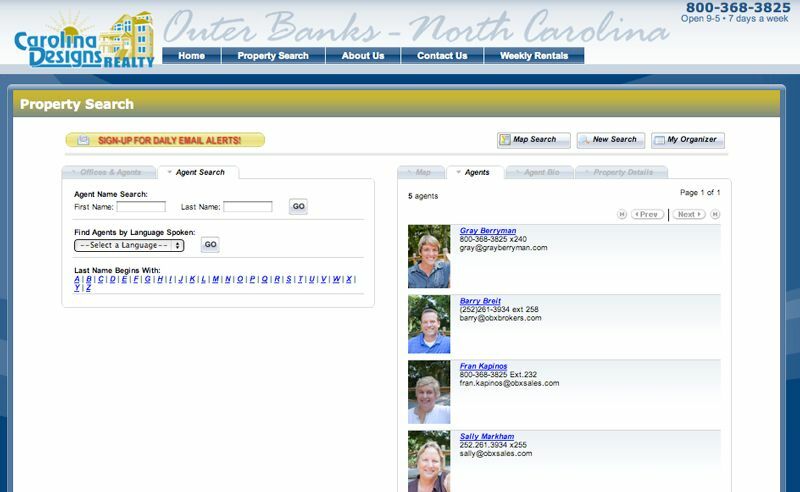 Agents can also manage their own listings and leads through a private admin area. Carolina Designs’ requested a very simple, sleek design to mimic some of the online travel websites. This site offers numerous tools and resources to their clients in a well organized and easy-to-navigate layout. The site also features an interactive map-based search, the only one on the Outer Banks.